“Beyond prevention and intervention: increasing well-being“. August 26th – 30th, 2014, in Innsbruck, Austria. Five exciting days packed with internationally esteemed keynote speakers, hands-on pre-conference workshops spanning over a wide area of health psychology topics facilitated by excellent experts in their fields, and your contributions in symposia, paper and poster sessions featuring the latest science lie ahead of us. What is Quality of Life and Wellbeing? Can we really measure these concepts and what does it mean? On-site registration for the pre-conference workshops is still possible on Tuesday morning, August 26th. We want to draw your attention to the Special Interest Group (SIG) breakfast sessions on Thursday 28th of August, 8:00-8:45am organised by Synergy. Three SIGs will enable individuals with a shared interest to identify each other, exchange ideas and information and potentially establish collaborations. These meetings are open to all attendees at the conference and participants are encouraged to join their SIG(s) of interest. Please see page 44 of the conference program for details. 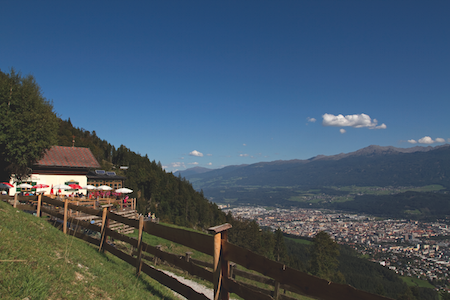 The conference dinner will be hosted at an alpine mountain hut close by. Only a few remaining tickets are available on the basis of first come first serve. You can register and pay for the conference dinner on-site at the registration desk. Online registration for the conference is now closed. You can check your registration status here. On-site registration will open on Tuesday morning, August 26th. Please be sure when registering on-site for the reduced fee, to have the requested documents (i.e. proof of residence, proof of student status or proof of membership) at hand. We look forward to seeing you in Innsbruck!